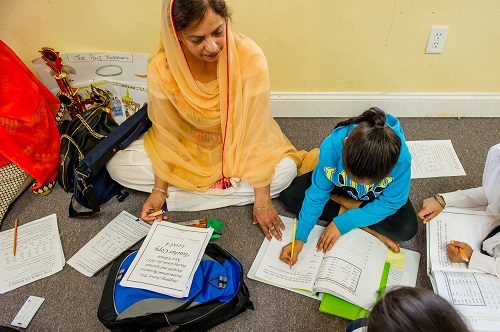 Learning Outcomes: The student at Level 1-2 will learn the symbols and the sounds of the Penty Akhri, nine Matras, the five sound modifiers, read Mukta and Matra words, names of days, months, and counting up to 25 in Punjabi. They will use the PSL Punjabi, Yes! to achieve the benchmarks. PSL Book Punjabi, Yes! has 83 pages filled with 16 lessons that teach the Penty, the Matras and the sound modifiers. Each lesson includes reading, writing, and spelling activities. Homework pages are included in each lesson. 3. Stepping Stones PSL Book Punjabi, Yes!- Penty & Matra Instruction for Teenagers: Punjabi, Yes! is a fast paced Punjabi learning course for the older learners or for the self-starters. Each lesson focuses on five letters and one vowel symbol or a sound modifier. Each lesson provides a review of the previous lessons and introduces the new letters. The instructions are in English. There is a big bank of vocabulary words built into each lesson. 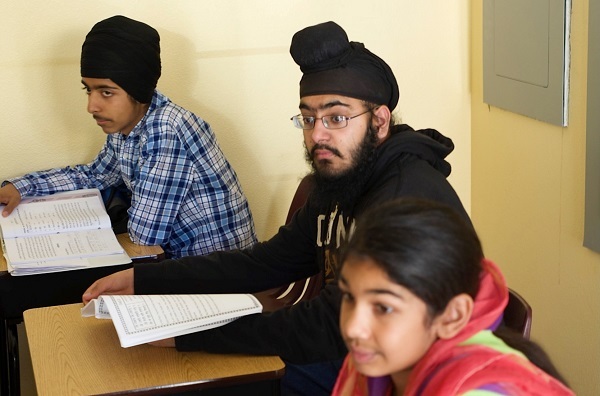 The student who completes this course is ready to take on beginning reading level in Punjabi.